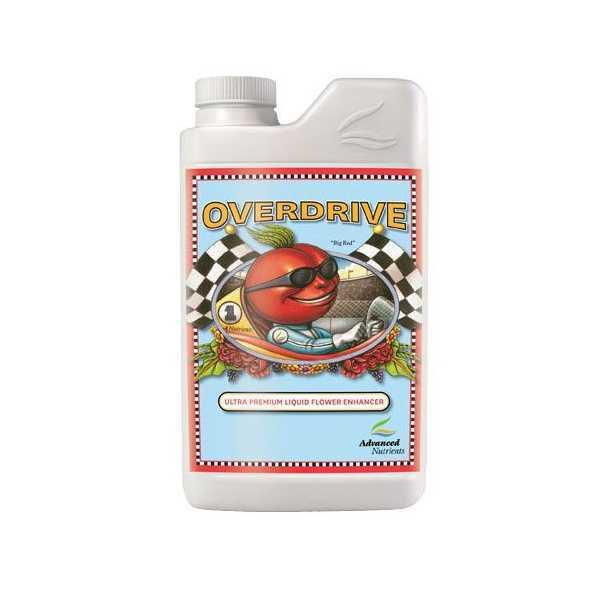 Overdrive is designed for the late flowering cycle. 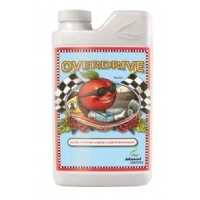 This is the last stage in the most superior flowering enhancement line available. 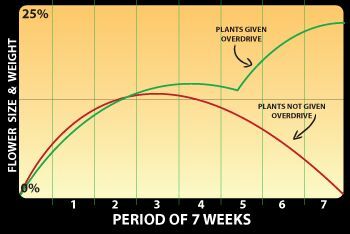 Citric acid, ascorbic acid, and an array of food grade hormones are added in order to pack on extra girth and weight during the critical last weeks of fruit/flowering when plants show the most sizeable gains. Contains appropriately proportioned amounts of Ascorbic Acid, Fulvic Acid, and Folic Acid - all cofactors to the uptake of Potassium and Phosphorous. Step 3 for heavy yields ~ use during weeks 6, 7 for an 8 week variety. Now you can say goodbye to frustration and hello to bigger harvests. The good news is that there’s a surefire way to beat the odds and make your big harvest dreams come true. The answer: Advanced Nutrients Overdrive. It’s 100% guaranteed to give you rewarding harvests.